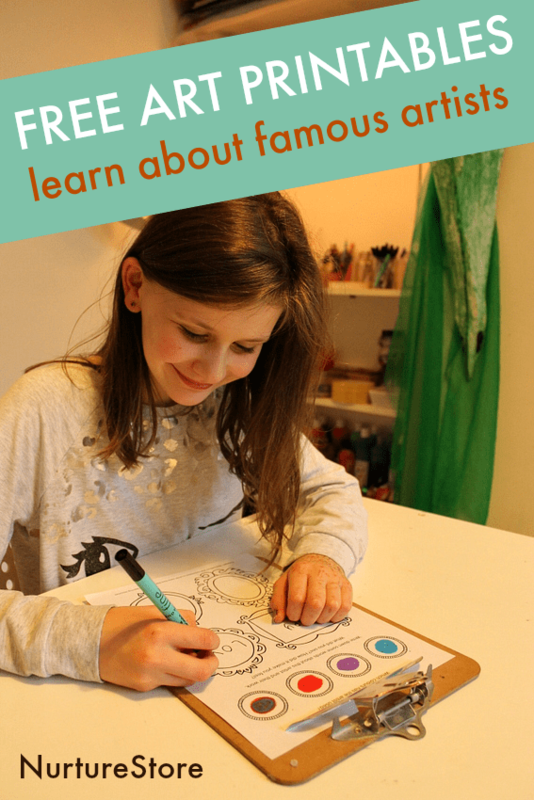 A free arts education printable! 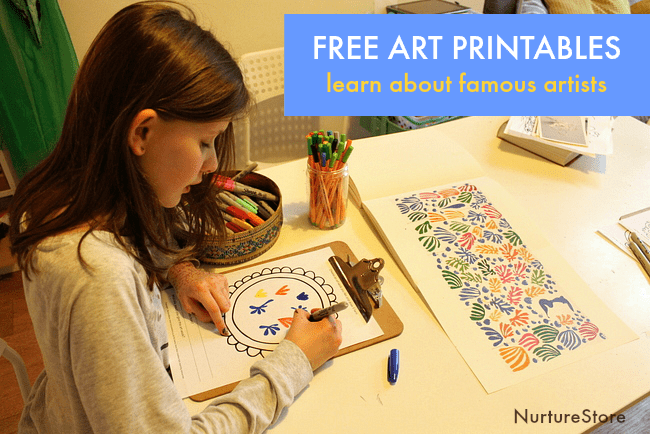 Use these sheets to learn about famous art, in school, homeschool, or when you visit an art gallery with your children. Arts education is central to a good education. Although it’s disappreaing from many schools, learning about, through and with art adds depth, breadth, connection and richness to the curriculum. People have been creating art for thousands of years and it’s central what it means to be human. Learning about famous art gives children an opportunity to learn about culture, religion, science, geography, history, philosophy, critical reasoning, and empathy. 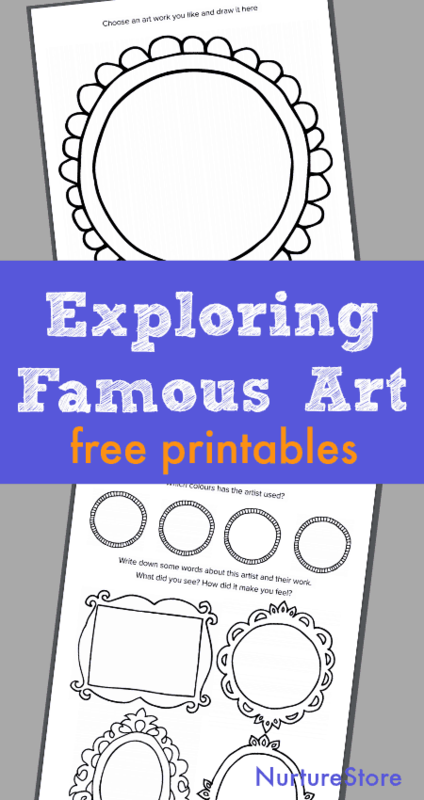 You can use this free printable to explore a famous work of art with your children. We use it in the Family Art Club that I run, when we visit an art gallery, and when we are learning about a new artist. The printable is a bit like a treasure hunt around a work of art. It prompts your child to look, think and respond to what they see, through writing and drawing. Print it and give it a try!